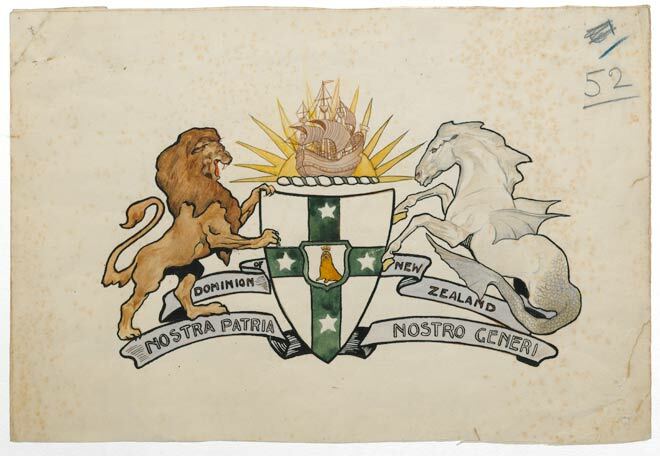 This is one of the three drawings that were sent to Britain for consideration as a possible coat of arms for New Zealand. The three were selected from a total of 75 designs entered in a 1908 competition to choose a coat of arms for the new dominion. However, virtually none of the elements in this design appeared in the final coat of arms.